DON'T MISS YOUR OPPORTUNITY TO INCREASE YOUR EARNINGS. ENROLL TODAY!!! "The Course was very informative. There is always room for growth in a gift/talent that God have given to you. Jenise was encouraging, patient, and also gave me some spiritual guidence. The hair industry is fun, challenging, competitive, & hardwork. Several years in and I still have way more to learn. There is nothing wrong with seeking to learn more and strengthen your craft. This workshop is perfect if you are looking to expand your knowledge on Crochet Braids, different techniques, tips and positive advice. Thankful for the opportunity and I’m proud that I completed a goal towards my gift. Thank You"
"Jenise was very informative. I've been waiting along time for a course like this. It will add to my productivity on top of the skills I already had and to my revenue. I'm excited. 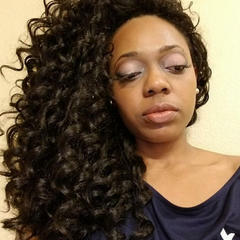 Thank Jenise"
"There is no other course like this and I have never seen crochet braids done like this before. The course truly pays for itself triple times over now that I'm able to provide my clients with a new level of service." "If you're looking to take Crochet to the next level this is the class for you. This kind of crochet technique in a game changer." Learn Our Step By Step Revolutionized Crochet Techniques & create significant additional income as a Certified Seamless Crochet Technician. Well guess what I turned that Dream into Reality and You can too. 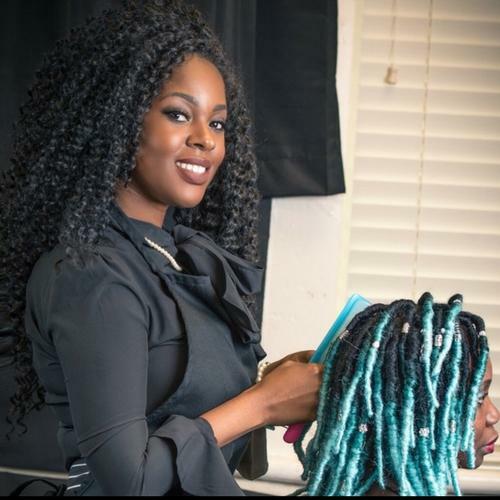 Jenise McBride, Owner of Angelically Natural, Protective Styling Hair Studio and H.E.R-V University (Hair, Ergonomic, Revolution) Specializes in Knotless Crochet braids and is the Creator of the Crochet Seamless Hairline. 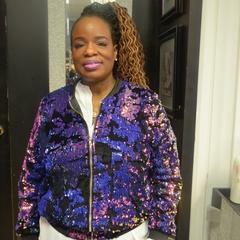 She has over 10 years of Experience in the Hair Industry with a National and International clientele base. 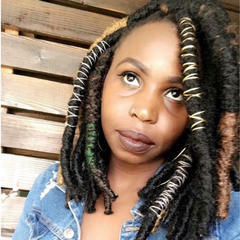 She has had the pleasure to travel doing what she loves and have trained and certified many crochet technicians equipping them with marketable and Original Crochet techniques that will allow natural hairstylist/ Braiders to offer more services, and generate more income. Her goal is to help others create Economic Power as she did for herself using her revolutionized techniques and marketing strategies. Here at H.E.R.V-UNIVERSITY we have designed a unique step by step Online Certification Course for both licensed and Non-licensed professionals. 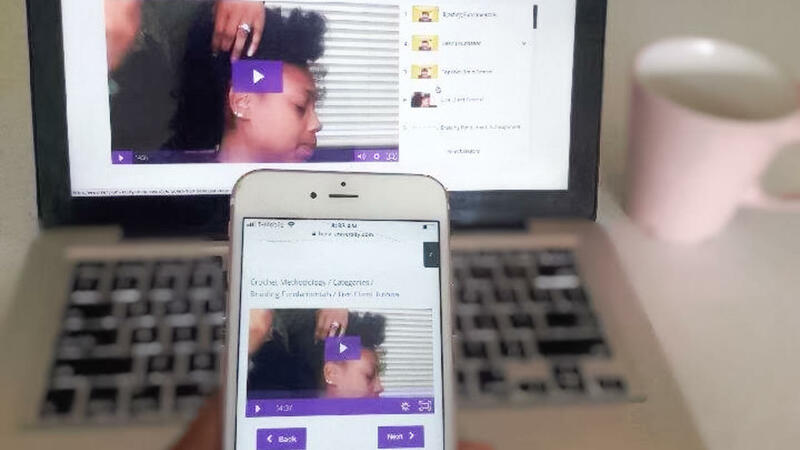 We've also designed challenges to help prepare you to work and be successful in the competitive Natural Hair industry. Upon completion of The Seamless Crochet Technician Certification program graduates will have the exceptional opportunity to become listed on our National Registry of Certified Seamless Crochet Technicians. You will also have the opportunity to come to any Hands- On training we offer in your City/ Country for Free. 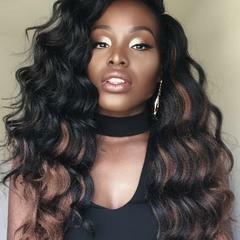 The Course Covers Topics On: The Key to Braiding Foundations, Non-slip knot Technique, Knotless crochet Technique, Seamless Hairline Technique, Thinning, cutting and shaping, Blending techniques, Take Down Technique, and Live Q&A Sessions. The Course cover all topics in Crochet Methodology as well as Our signature Completely knotless kaneklaon installation, Vixen hairstyles, Thinning and alopecia, shearing and blending. Include everything both the Crochet Methodology Course and Crochet Mastery Course. Also Includes 1 on 1 Live Online or In-person Training sessions and Q & A's. Customer Service skills and Strategic Business Marketing skills. After Each Course you must exceedling pass all Assessments and complete the certification process. 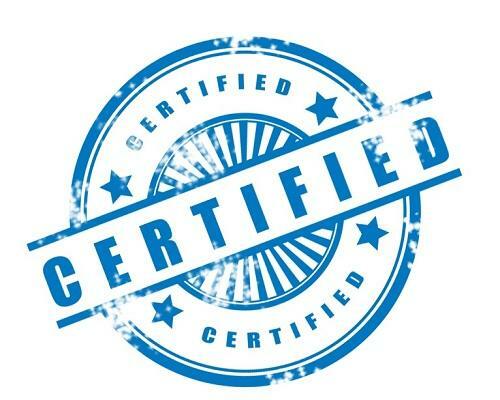 Click HERE to find out more about our certification and assessment Guidelines. Each course ranges from 6-9 months. Members are welcome to advance to the next course at any time. It is our suggestion that the courses be taken based on skill set so students are able to achieve a solid understanding of the information given. What can I expect to learn from these courses? You can expect to learn Various Step by Step Crochet braids techniques and how to Create our Seamless Hairline. These techniques teaches you how to make the hair look like it's growing out of your scalp. How to properly blend so that you don't see spaces in btwn the parts when placed in a ponytail. Learn Marketing strategies and Business skills. What does becoming a Certified Technician get me? You are Nationally Registered as a certified Seamless Crochet technician. This proves that you have passed and are providing our tried and tested methods you were taught. You will also receive a certification in the mail. Seamless Crochet certification is assurance that an individual has not only been properly trained in our techniques, but has gone on to demonstrate their proficiency in several important areas like, proper consultations, maintenance, and more. This is NOT an Accredited University. No licensing will be offered. This only a continuing education program to further your skills in the natural hair industry. You will receive a certification to practice our techniques and tried & tested methods. IN THIS 500 BILLION DOLLAR NATURAL HAIR INDUSTRY & START YOUR CERTIFICATION TODAY! !